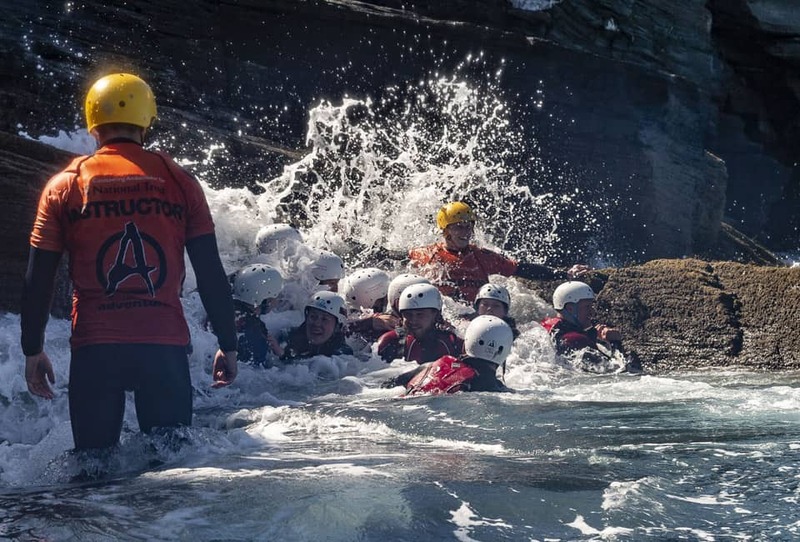 Outdoor Adventure began running coasteering in Bude, Cornwall over 15 years ago and is now recognised as one of the top coasteering Centres in the UK. We are lucky to have one of the best locations in Cornwall all to ourselves, with unrivalled stunning scenery, remoteness and wildlife. 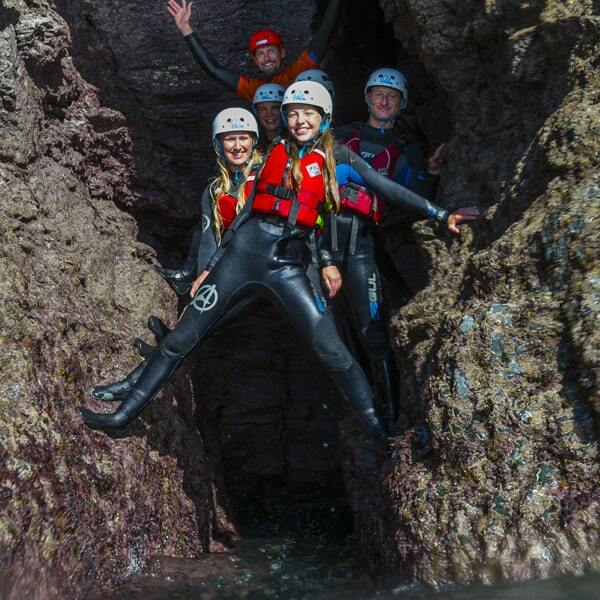 Come and join us for your amazing coasteering experience in Bude. 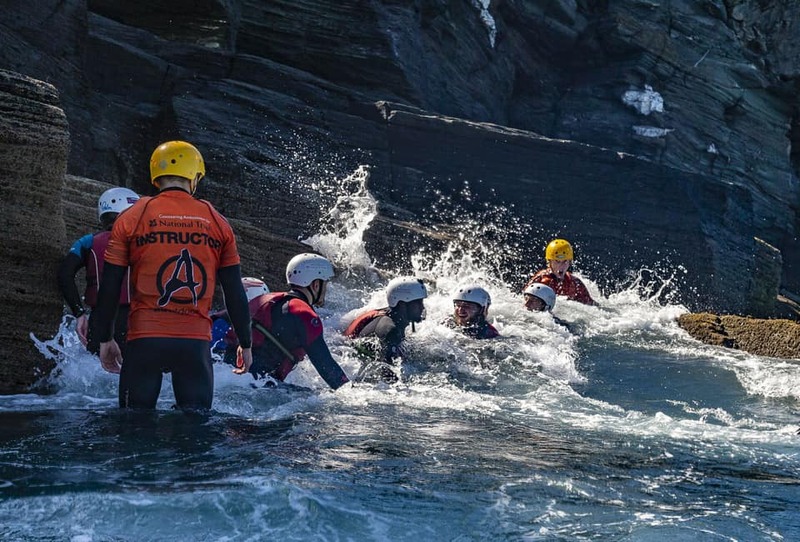 Outdoor Adventure was one of the first Activity Centres to start running coasteering in the UK and has gained a wealth of knowledge in how to run this activity safely and responsibly. 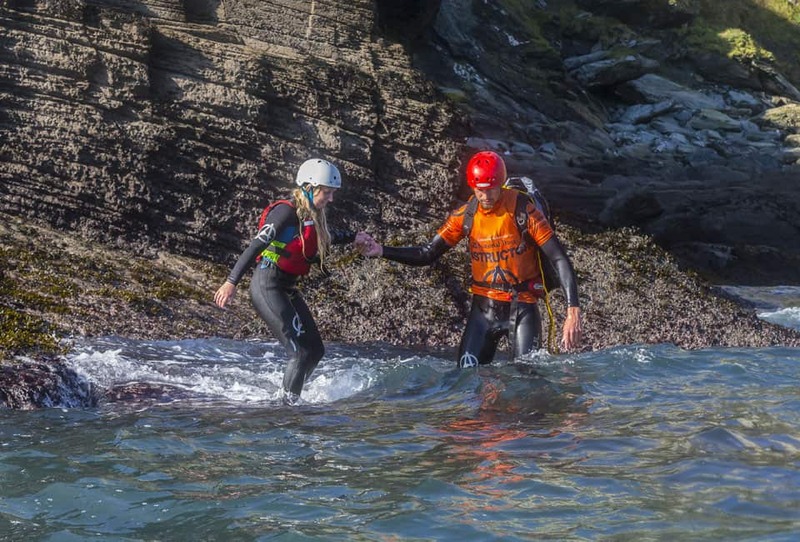 This is an incredible sport to experience, however it needs to be run by properly trained instructors who have extensive local knowledge of the coasteering location being used. The size and direction of the swell, the tides and the wind, all effect the chosen location in different ways which need to be taken into consideration before starting a session. 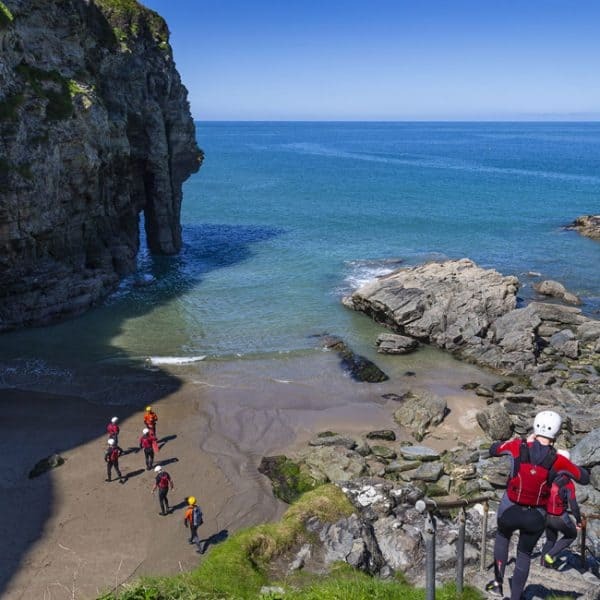 Our coasteering team will choose a route and cliff jumps that will excite and challenge you, whilst being appropriate to your level. 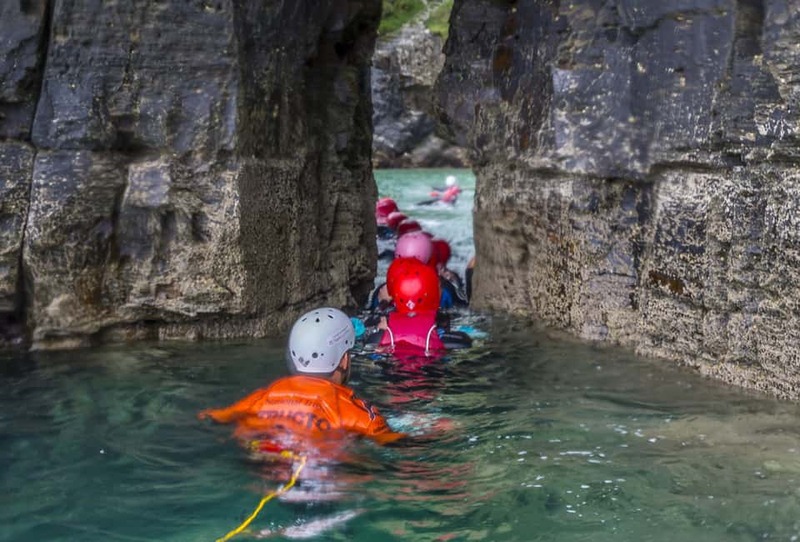 This secret cove near Bude must be one of the ultimate locations for coasteering in Cornwall. It really does have everything for an incredible session – breath taking scenery, crystal clear water, white sand, caves, natural arches and more! During your journey you’ll be reaching hidden and remote places with no other means of access. It’s simply mesmerising and given the chance you will want to stay bobbing around in the ocean forever! 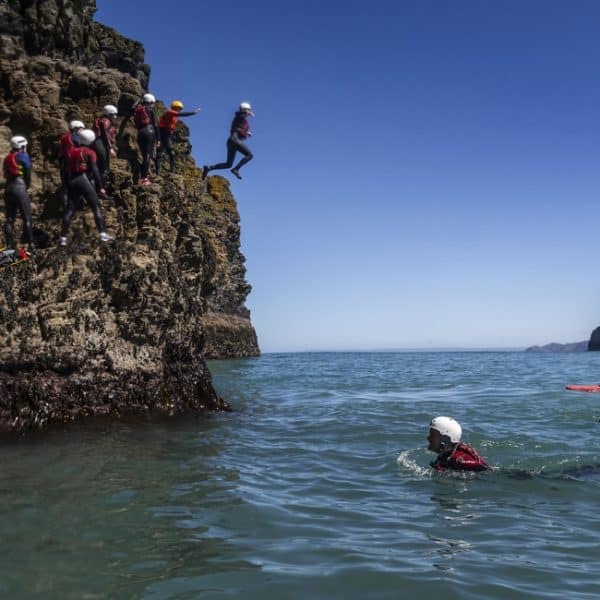 Coasteering in this incredible location gives you the chance to spot and learn all about the spectacular and varied wildlife that make this cove in Cornwall their home. You will see so much all around you including many different seabirds, seals and very often peregrine falcons and even pods of dolphins. 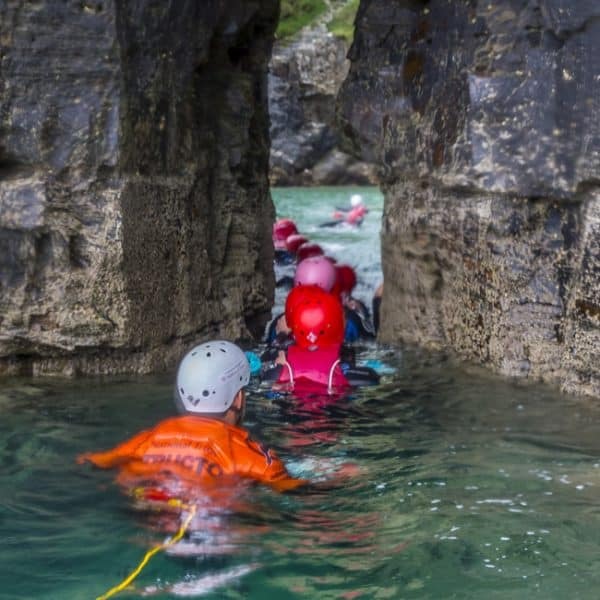 Our instructors are very protective of this wildlife and will ensure we don’t spook them in any way, as this is their habitat and we are just lucky visitors! 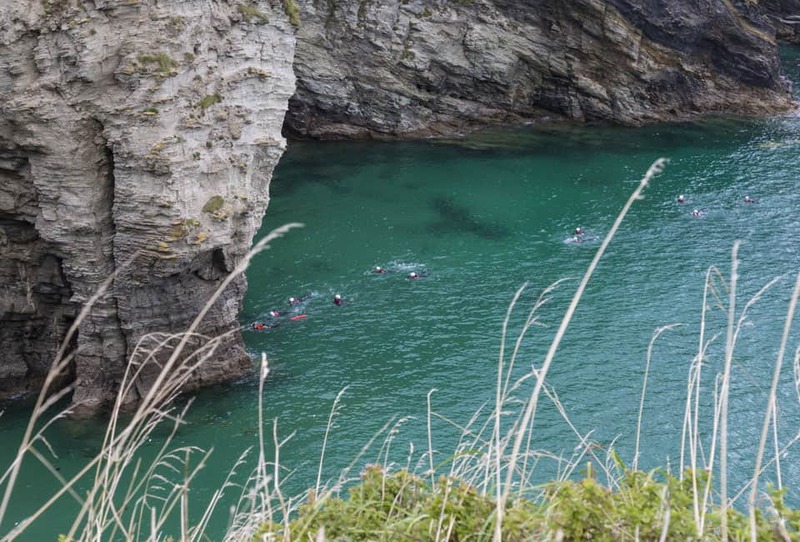 Our whole coasteering team have had a special training session delivered to them by The National Trust on all the wildlife and geology at Bossiney, and love passing this knowledge on to you. 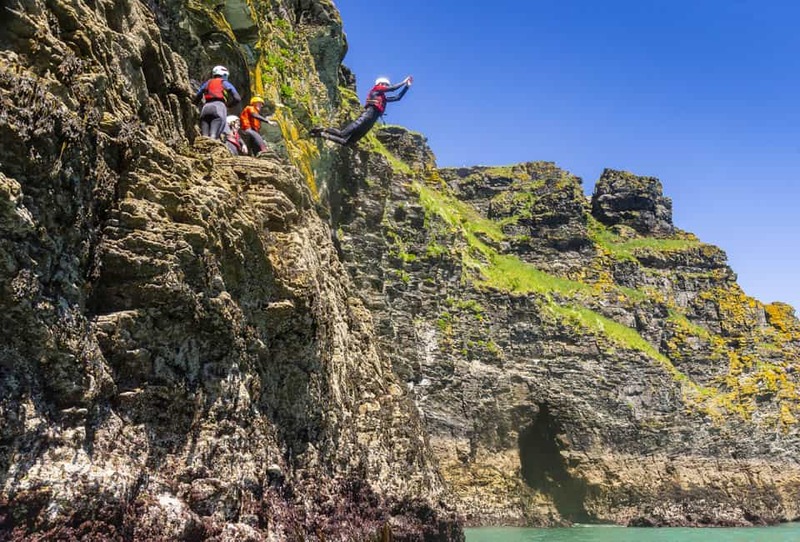 This side of our coasteering is just as mind blowing as the jumps! 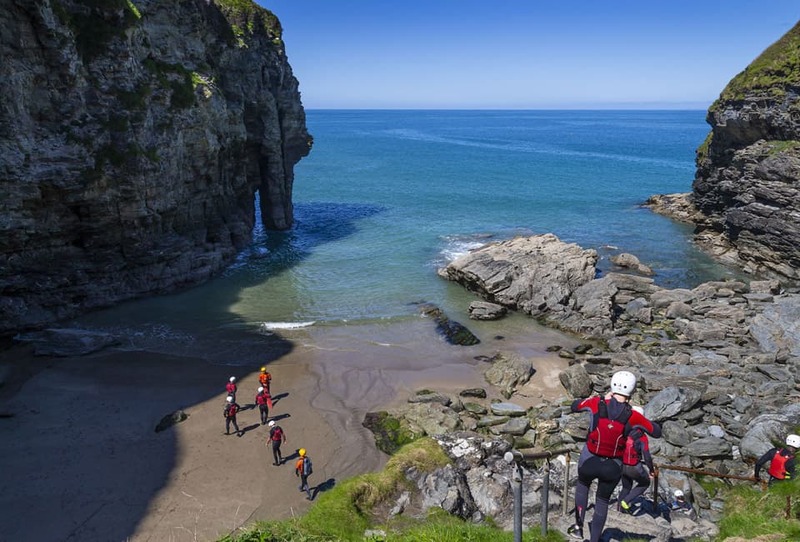 Back in 2003 we first went to Bossiney Cove to check if it could be a suitable coasteering location. Wow! – It had everything we could possibly ask for. However before we could have a license to use it, we had to prove we were serious and committed to use this beautiful place without causing any negative impact to the cliffs, flora or wildlife. We carried out extensive research and showed we could do this consistently and professionally. 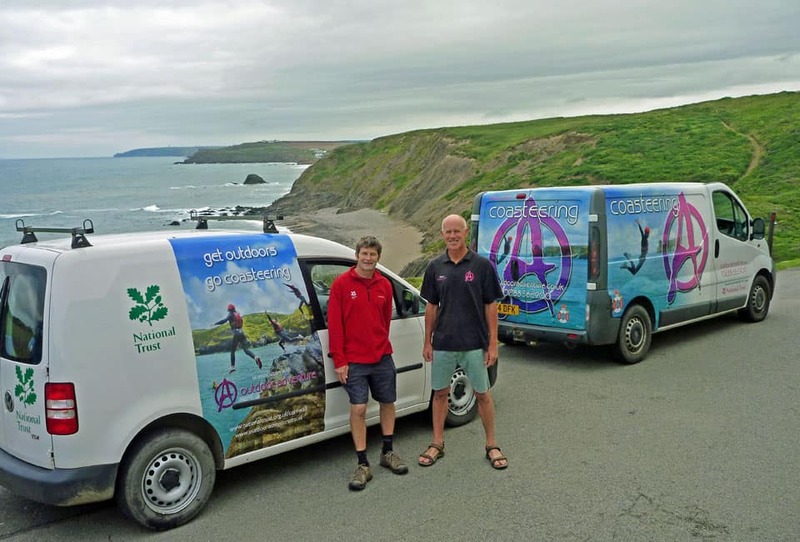 Not only did we get the licence but we have now also become The Coasteering Ambassador for the National Trust. 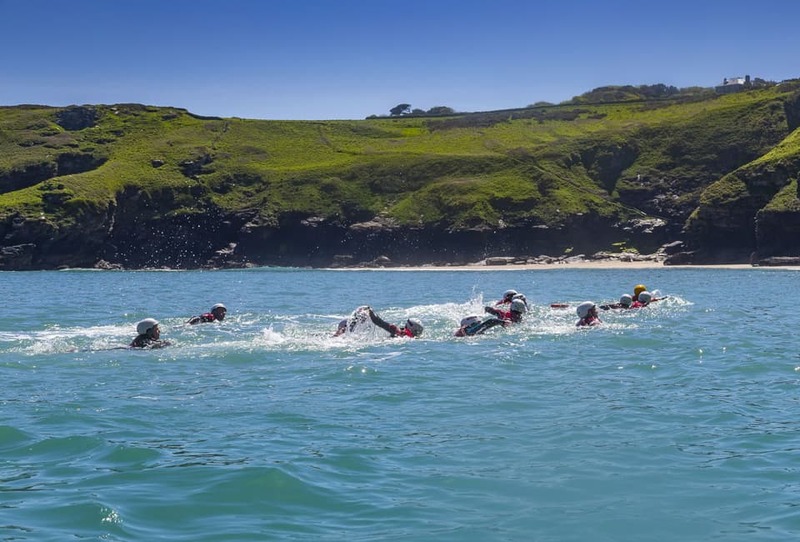 Our Instructors Make Your Experience Coasteering Special! Being with staff that love what they do and genuinely enjoy sharing their passion for the outdoors with you, makes a real difference. 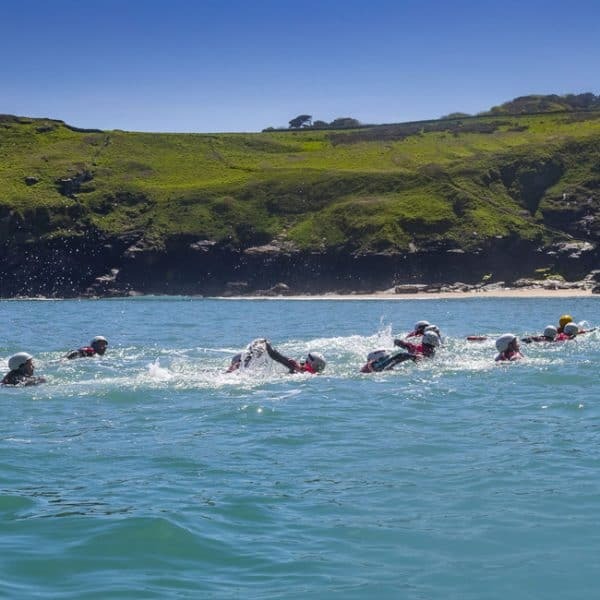 Our instructors love living in Cornwall, and are all keen coasteerers and surfers who understand and respect the ocean. This enables you to feel confident and enjoy this unfamiliar environment knowing you are in safe hands. As well as being fully qualified and highly trained, they are also Beach Lifeguards. You will find them very inspiring and great fun to be with. 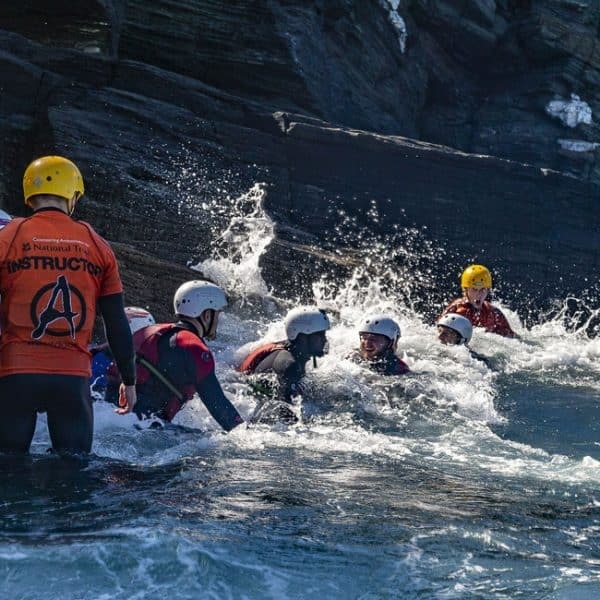 The Outdoor Adventure Coasteering Centre is situated at Widemouth Bay, Bude on the unspoilt, rugged north Cornwall coast. It is easy to get to and only 1 hour from the M5 junction at Exeter. Outstanding company, great experience! Loved loved loved it! Would definitely do this again. Pushed me and my 12 year daughter our of our comfort zone but the excellent coaches made us feel completely safe. Thank you for this great experience in stunning surroundings. 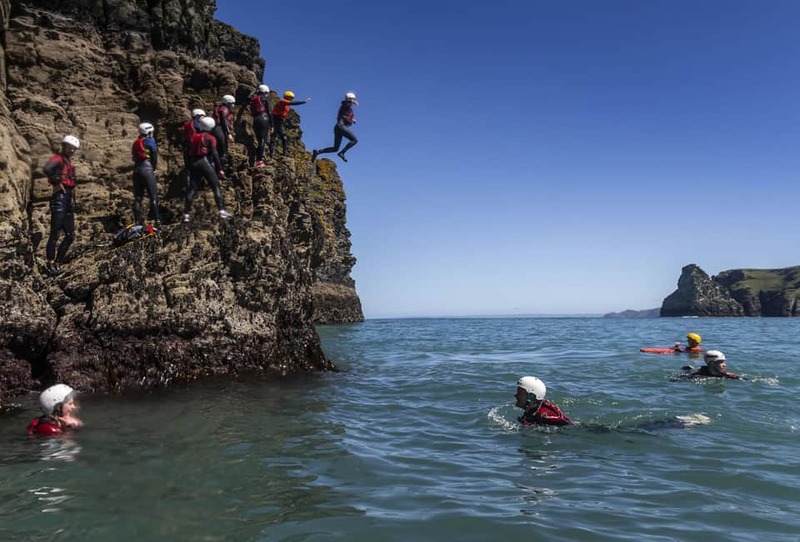 Amazing coasteering - Had a fantastic time with Outdoor Adventure. The guys were very knowledgeable and provided a safe a supportive environment. The jumps were great. Had two teenagers who loved it. Would recommend to anyone. Thanks guys.